Dr. Veera Kharé Asher, soprano, is a pioneer in the juxtaposition of both the classic and the contemporary. 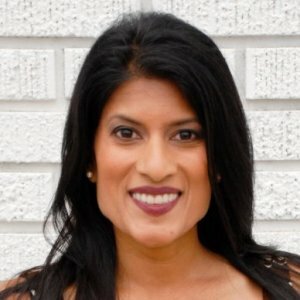 Her versatility as a performer, teacher, producer, coach, scientist, athlete and entrepreneur has catapulted her to the forefront of a unique niche where she brings the Arts together with Science, using both traditional and innovative approaches to education, the performing arts, and wellness. Professionally, as a performing artist, Dr. Asher has worked extensively in live production as a singer, actor, dancer, pianist, violinist, songwriter/composer, director and producer. She is also involved with academic and educational organizations as an instructor, researcher, and innovator in performing arts training. Dr. Asher initially completed a diploma in Voice Performance at the Mount Royal Conservatory in Alberta. She returned to Vancouver, her home province, to complete her Bachelor of Music, Major Opera degree at the University of British Columbia. Then she completed her performing and directing studies at the Hartt School of Music in Connecticut, where she graduated with a Master of Music, Major Opera. Beyond her classical training, she also studied Jazz at the Banff Center; wrote, recorded and produced an original solo album at some of New York City's premiere recording studios. After several years as a featured stage performer, Dr. Asher returned to academia and completed her Doctor of Musical Arts degree in Voice Performance at the University of Nevada Las Vegas where she also taught voice classes and voice majors. As of Fall of 2015, Dr. Veera Asher became part-time faculty in the Music Department at Loyola Marymount University (LMU) in Los Angeles as a Voice Instructor to both voice majors and non-majors. Dr. Asher’s unique background and expertise in strength and conditioning as well as opera singing, with support from her doctoral level research, led to her establishing Precision Form Training™ (PFT): a neuromuscular training technique that integrates voice (breath)-core science for optimizing the neural feedback system. She is a certified strength and conditioning specialist (NSCA-CSCS), and recently completed her USAW1 Sports Performance Coaching Certificate. Dr. Asher enjoys helping her students establish, through mentorship, new career path options via cross-pollination of disciplines such as voice performance and health sciences, with a specific interest in speech/singing, athletic performance and physical therapy rehabilitation.